God of War has been out a little while now, giving players a chance to scour it for Easter eggs and secrets. And even though the game’s director Cory Barlog alluded to there being tons hidden in the game, very few have been found. The ones we have found, though, are definitely worth searching for, and we’ll keep updating this piece as more trickle out. There are story spoilers for God of War ahead. The Gauntlet can only house three stones at a time, but equipping them will allow Kratos to fire purple beams out of his fists, awesome. The ending of God of War is filled with revelations and twists. Many of these story beats are given via a series of runes on a wall, depicting Atreus’ true nature, as well as a look into the future. There’s also a similar mural that can be seen during your first fight with Baldur at the beginning of the game. At the first moment that Kratos unleashes Spartan Rage, the Stranger is pressed up against a stone slab. On this slab is a mural which shows much of the game’s later story. There’s Kratos’ final fight with Baldur, the flying ship, and the giants in Jotunheim. 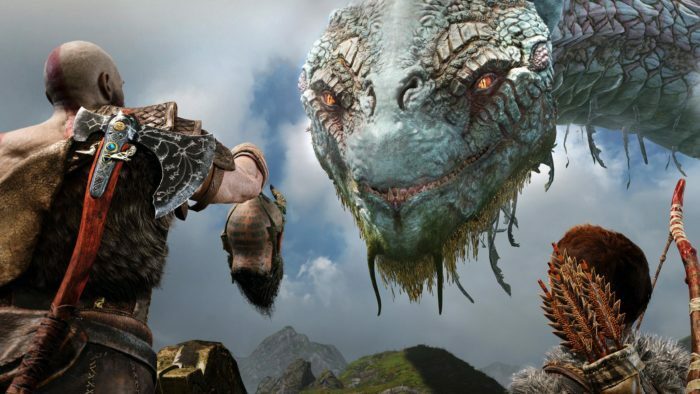 For more on God of War, check out our review and wiki guide.